Our very own blend developed for us by El Titan de Bronze in Miami. The S.G. Corojo is a lush, heady smoke, medium bodied, with notes of spice, leather and just a hint of cinnamon. It smokes perfectly as each cigar has been tested for draw and density. A very unique, premium stick, only to be found here at El Cigar! Most of the cigar shops that you will go to, the shops run by tobacconists, they offer something that is ‘theirs’. There’s a local blend of pipe tobacco, or a specific way of blending it together, whatever the case may be. Many shops even offer their own lines of cigars to their customers, often at a low price or at very least a good price for what you’re getting. Of course, the shops aren’t making these cigars themselves in back, that would be prohibitively expensive for most shops. What they do is they pair with a cigar manufacturer, who makes cigars for them, and they put their name and label on the cigar. Sounds great, right? And it often allows their customers to get a quality cigar from a decent company at a lower price! El Cigar, perhaps sensing the synergy in their names, paired with El Titan de Bronze to bring you a great cigar at a good price. The Corojo Robusto from their family series is the kind of cigar that you will find to be worth your time, a cigar that you will be happy to enjoy again and again, and one that is well worth its price. 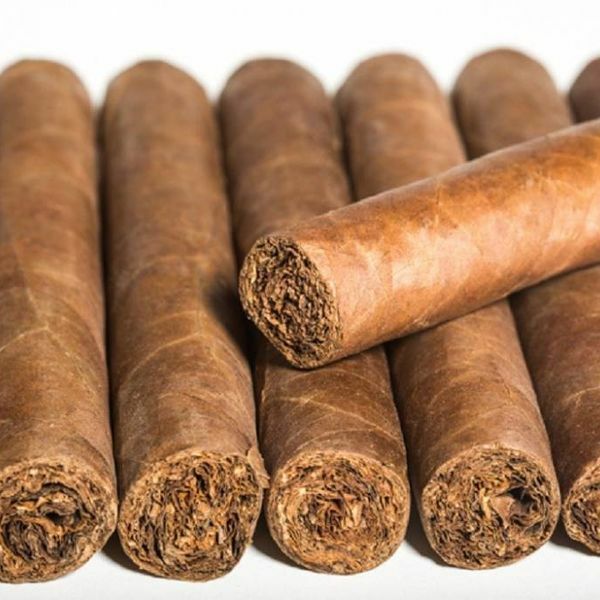 It begins with a Corojo wrapper grown in Nicaragua, and to that they add a lot of premier Nicaraguan tobacco, making the cigar one that you simply must try. It has complex flavors of spice and leather, with a flavorful hint of cinnamon. It is well worth at least one smoke, if not a couple more. Once you experience El Cigar's Family Series S.G. Corojo Robusto, found only here at elcigarshop.com, you will be coming back!